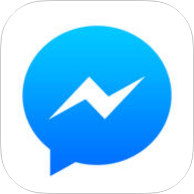 Designed sound, mastered, and managed audio assets for Facebook Messenger including the iconic Pop-Ding push notification, VoIP ringtones, and UI audio. Developed Android, iOS, Desktop, and Windows mobile audio conversion specifications. Managed and converted all team audio assets for compatibility and optimization, and actively maintained audio data repository for all apps.